SDM3000 scanner card. 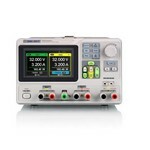 A multiplexer that provides multipoint measurement capabilities to the SDM3000 series of digital multimeters. The scanner has 12 channels of multipurpose current + 4 and supports the following measurement functions: DCV, ACV, DCI, ACI, 2WR, 4WR, CAP, FREQ, DIODE, CONT and TEMP (RTD and thermocouple). Linear DC power supply with 3 digit LED display, 2 independent outputs of 0 ~ 30 Vdc / 0 ~ 3A, 1 fixed output of 2.5 Vdc/3.3 Vdc/ 5 Vdc @ 3A, resolution:10mV (0~9.99V), 100mV (10~30V); current 10mA. ON / OFF output. 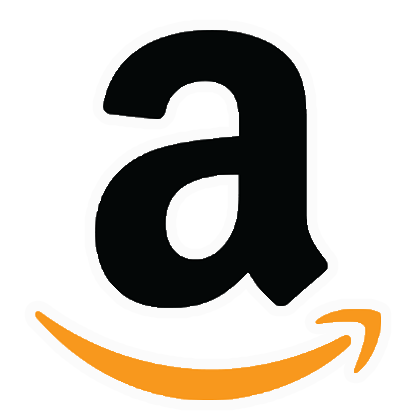 Includes power cord. 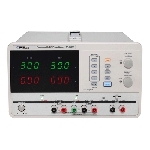 Linear-DC Power Supply Model SPD3000. Precision three-way power independently controllable output: 30V/3A X2, switchable 2.5V/3.3V/5V/3A X1; Programmable. Four digits voltage, three digits current display; resolution 10mV, 10mA; LED display. 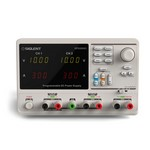 Linear-DC Power Supply Model SPD3303X. Lan-Precision three-way power independently controllable output: 30V/3A X2, switchable 2.5V/3.3V/5V/3A X1; Programmable. 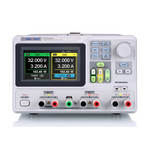 Five digits voltage, four digits current display; resolution 1mV, 1mA; TFT-LCD display; Timer fuunction; Waveform display function. 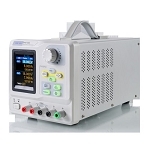 Linear programmable DC power supply, model SPD3000X, has 3 isolated outputs: 2 adjustable channels of 32V/3.2A and a selectable channel of 2.5/3.5/5V/3.2A, LCD TFT-LCD screen. Output modes: independent, series , parallel. USB and LAN interface. 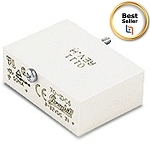 SPD1305X: 30V/5A,total power up to 150 W.